Few months back when I posting a fish curry recipe, I was talking about this Mango fish curry that Amma makes and guess what when I was home I got to try it :-) Infact I demanded her to make this fish curry as we were in the peek of mangoes everywhere. I still see vegetable vendors and super stores selling mangoes and I am not complaining one bit ;-). Wait wait I gotto tell you that I love to have this curry cold the next day with warm rice or may be even curd rice. Weird right? :P well that's my taste. In a vessel, put all ingredients except the fish. Add the ground masala paste. Add enough water (about 2 cups). Mix well with hand. Now keep the vessel on stove and let the gravy simmer on medium flame and thicken. Stir gently and check for salt and spice. Now add the fish pieces. After 5 mts. a nice aroma will come. Now remove from the stove. 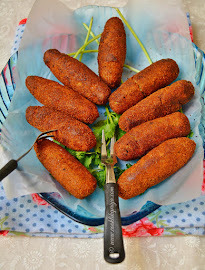 - Any variety of small fish or prawns can be used. 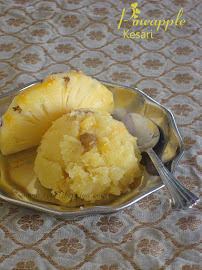 Looks good :-) have a similar recipe up on my space as well...raw mango definitely kicks up the flavor in this dish. 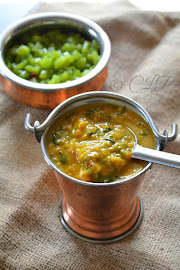 Yum yum yummmm... Lovely clicks and wonderful recipe akka.. Just love this flavorful curry so much.. :) Feeling hungry already..!! 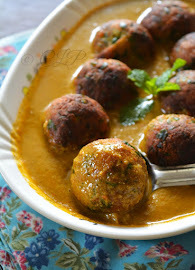 mango fish curry is my fav with rice and poriyal..mmmm.love it..nice clicks dear. Amma makes this kulambu often, the colour of the curry will be red in colour..Priya, totally loved the kulambu, YUM is the only word I can put here. The curry looks delicious Priya :-) The last pic is sure tempting! 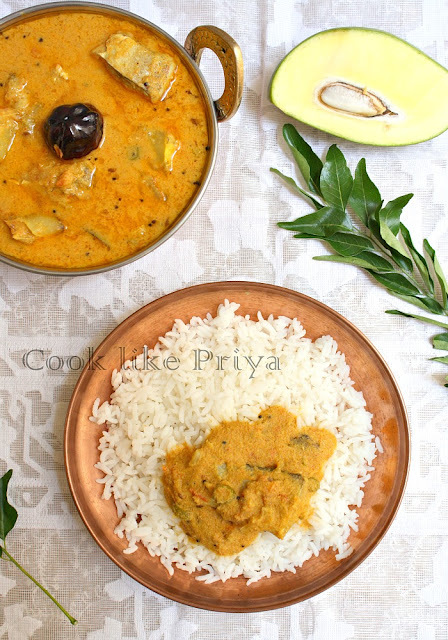 Priya,Mango fish curry looks so delicious, you have beautifully composed fish curry and rice spread...Nice images. What a beauty. Luved it dear. Coconut oil definitely gives it that special flavour. 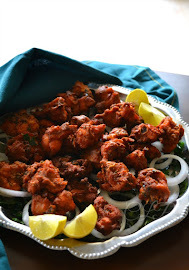 We bongs also make a mango and fish curry, but very different from this. I will try this next time, looks tempting. 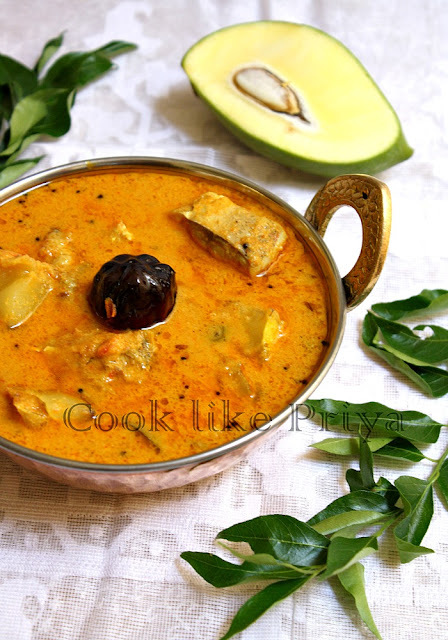 Fish curry looks amazing and mango adds flavors to the curry. 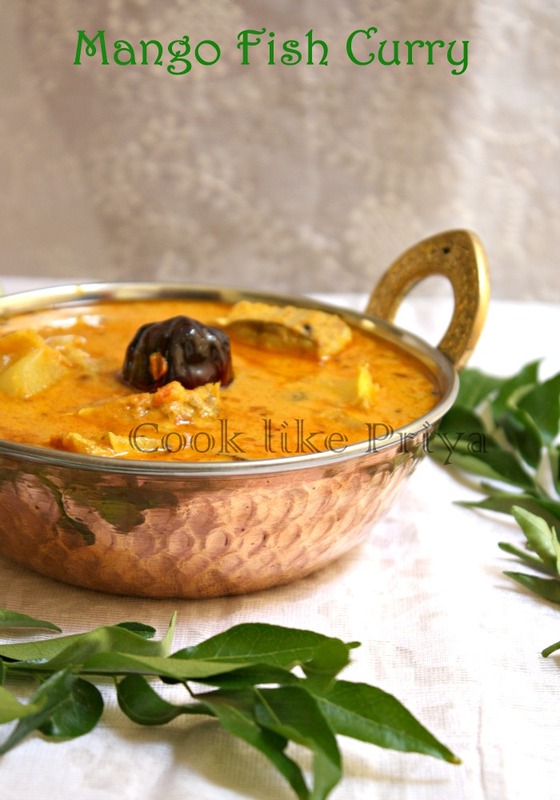 Mouthwatering fish curry, looks so delicious. Quantity of fish not mentioned.